The travel magazine conducted a poll with its readers, where they were asked to rate their experiences and evaluate hotels across the world on the following characteristics - rooms and facilities, location, service, restaurants, food and value. Premier rooms with semi-private pool - The Oberoi Udaivilas, Udaipur. 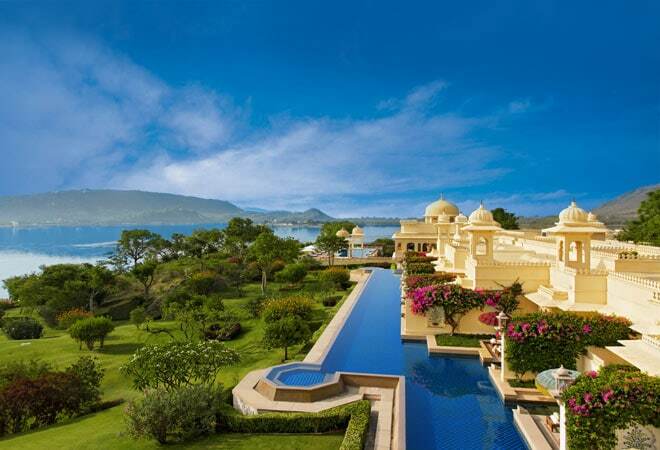 Oberoi Hotels & Resorts has been voted the world's best hotel brand by Travel + Leisure, World's Best Awards, 2015 while Oberoi Udaivilas, Udaipur has been voted the world's best hotel overall. PRS Oberoi, Executive Chairman, The Oberoi Group said, "We are honoured that we have been able to play a small role in "Make in India" by being the best hotel brand in the world and also having the best hotel in the world. The Brand "Oberoi Hotels & Resorts" has received this recognition from among the 6.3 million readers of Travel + Leisure magazine." Nathan Lump, editor, Travel + Leisure, said " Oberoi Hotels & Resorts have made it to the top spots. Thanks not only to properties of exceptional quality in picture-perfect locations, but also due to service standard that Travel + Leisure readers say go above and beyond." For 2014/15, the group had reported revenue (including other income) for 1,366.30 crore, a growth of 4.5 per cent over the Rs 1,278.94 crore in the previous fiscal.